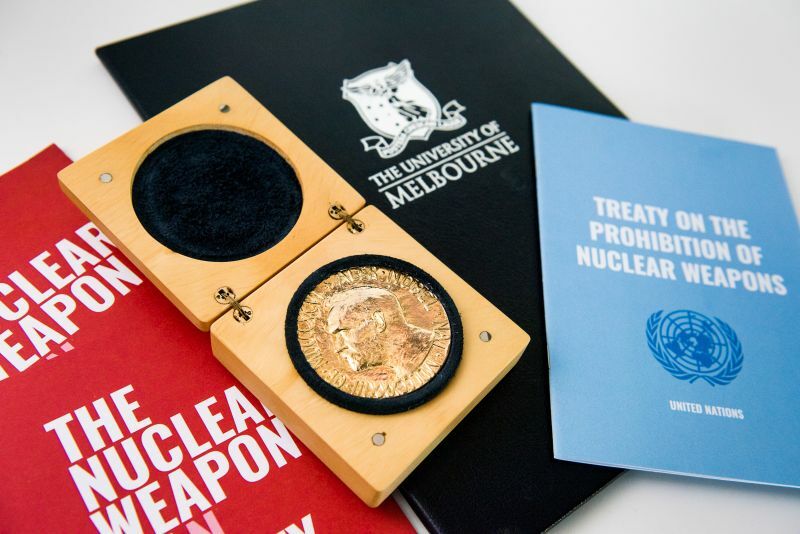 On Thursday 14 March, the Faculty of Medicine, Dentistry and Health Sciences held an event to commemorate the Melbourne origins of the International Campaign to Abolish Nuclear Weapons (ICAN), which was awarded the Nobel Peace Prize in 2017. 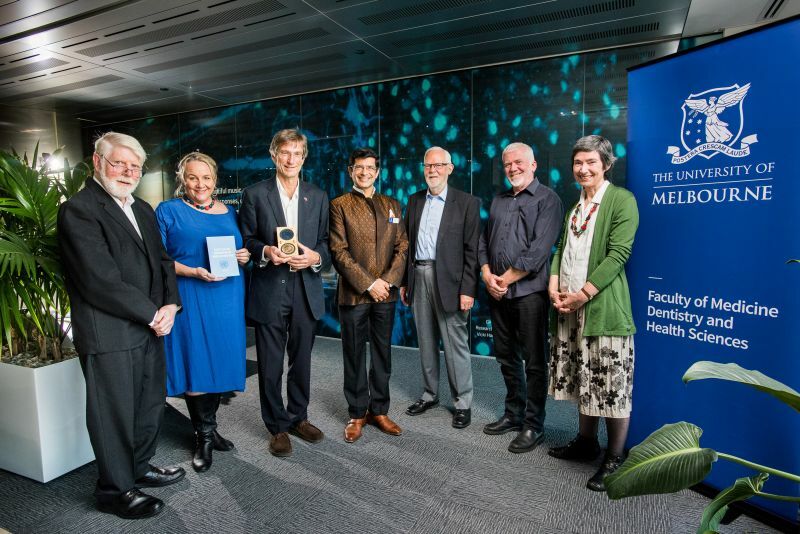 ICAN was awarded the prize ‘for its work to draw attention to the catastrophic humanitarian consequences of any use of nuclear weapons and for its ground-breaking efforts to achieve a treaty-based prohibition of such weapons’. At the event, Professor Shitij Kapur, Dean of the Faculty, acknowledged the inaugural committee members and contributions of Indigenous communities to the treaty negotiations, as well as unveiled a commemorative plaque and photograph in the Dean's Office Boardroom. It was in this room on 15 May 2006 that the first ICAN committee meeting was held. Professor Kapur said: 'I think it’s wonderful that the idea for ICAN, a Nobel Peace Prize winning organisation, germinated in this very room. ICAN co-founder Associate Professor Tilman Ruff AM, who was the only member of the inaugural committee present during the negotiations that led to the treaty, also spoke about the origins of ICAN, its international growth and historic achievements. The inaugural ICAN committee members include Professor Ruff, Dimity Hawkins, Emeritus Professor Joe Camilleri OAM, Professor John Langmore, Dave Sweeney, Dr Sue Wareham OAM and Dr Bill Williams, who sadly passed away in 2016.